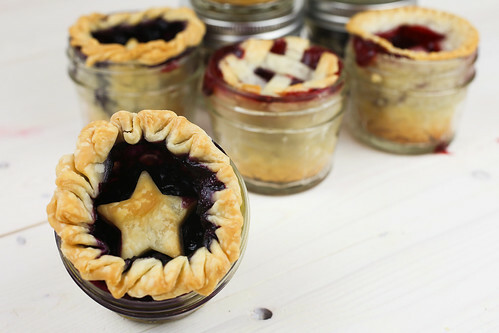 One of most popular posts of all time on my site is this recipe for Pie in a Jar. 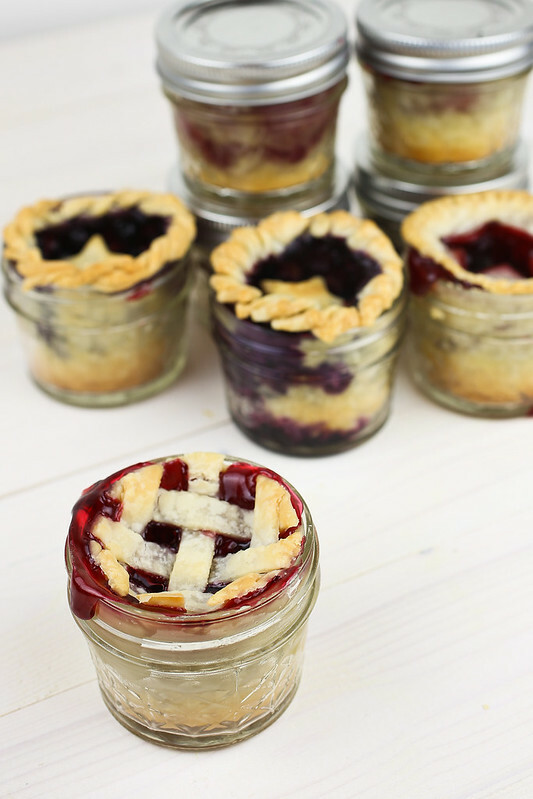 Apparently, people *really* like pies in a jar. The thing that I love about this is that it’s adaptable to any pie recipe and any holiday. 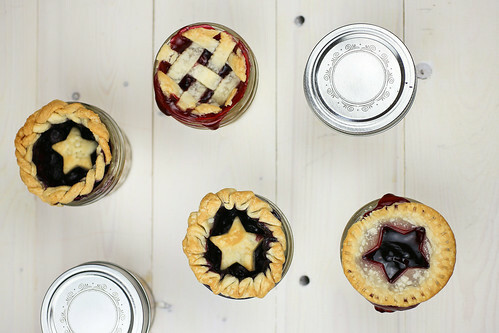 This year, I decided to make patriotic pies in a jar for the Fourth of July. I used refrigerated pie crusts and cherry pie filling to make the cherry pies. For the blueberry, I used refrigerated pie crusts and a very simply recipe. Preheat oven to 400 degrees. Cut 2 of the pie crusts into quarters and mash the dough into the mason jars. Make sure that the crust is the same thickness throughout the jars. Use the excess crust in other jars. Fill half of the jars with cherry pie filling. In a large bowl, combine the blueberries, sugar, cinnamon and corn starch until the berries are coated. Fill the rest of the jars with this filling. Top with the remaining pie crust however you’d like. Bake uncovered for 10 minutes until top crust begins to brown. Remove from oven and cover with foil. Bake an additional 30 minutes until filling is bubbly and hot. Don’t overfill the jars or the filling will spill out. But don’t underfill them either or it will deflate once cooled and your pies will look funny. 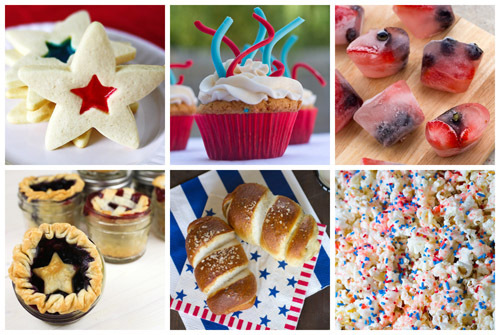 And don’t miss these yummy patriotic recipes! um, these are cute AND look so yummy! 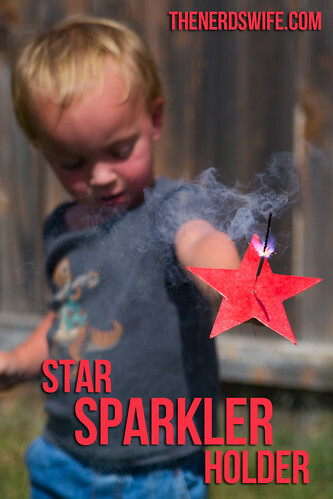 Beautiful – love these! and your photos! Love it! Gorgeous and delicious. Win, win! These are the cutest things ever!! I absolutely love it! 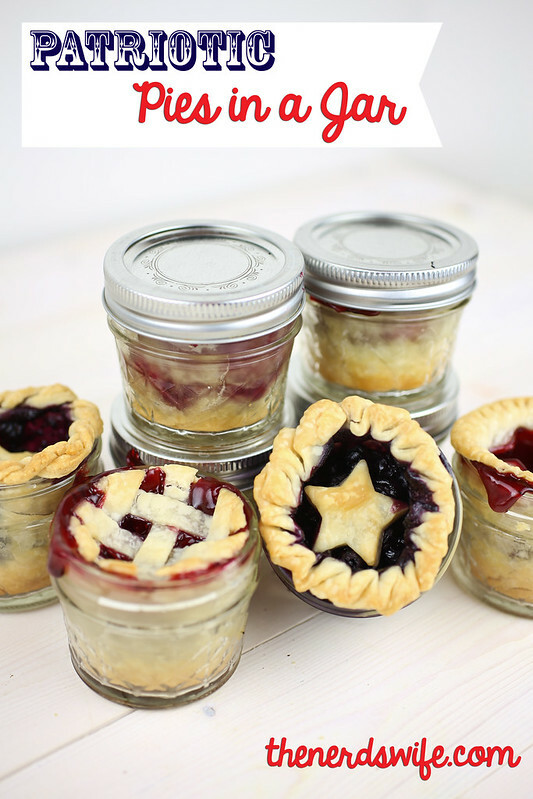 Pie in a little jar?! Count me in!